Try to straighten a sisters hair, who has already experienced the “BIG CHOP”. Let me say this; serving the natural hair beauty market is no joke. It’s not something you can take lightly. The emotional and psychological space of a woman and her natural hair experience can be a serious place; (if there are any men out there reading this, you may or may not know what I’m talking about) but if you don’t know, you’d better ask SOMEBODY! We’re dealing with clients everyday and I can’t say that I’ve heard it all, but, I’ve heard enough. I know there’s a deep psychologically skepticism for any woman who has lost her hair and has finally seen the light. If she hasn’t been able to make a demonstration of the quality and style she would like to portray, it can affect everything from her job outlook, to her personal relationships. It reminds me of the time my mother bought me these pants. They were red and blue striped from top to bottom. I attended School # 12, a grammar school, in Paterson NJ, back in the 1960s. One day, I arrived at school and one of the little girls and I were wearing the exact same pants! When I saw her, I GASPED! I almost passed out! I ran out of the class before anyone noticed me and I never returned to school with those pants on again. I even played “hooky”, just so no one would see me in those pants. I shared that story, to let you know, that I know, how crazy it can be, if you’re not looking the way you want to look! So, let’s not even go there with young girls. How are they going to concentrate on learning, if they’re concentrating on what their hair is looking like? If their hair is not acceptable to them and their peers, the psychological trauma can be debilitating. I said all that, to say that I take my responsibility to help care for natural hair very seriously, because I know the effect it can have on a person’s well-being and personal success. Speaking of well-being here is a package deal that features a softener and a hair repair kit. This package contains everything you need to repair and transition. There we were sitting in the middle of Harlem eating burgers, the two of us. Cheryl is a good friend and a second-generation cosmetologist as I am. What’s even more relevant to this conversation is that she’s probably one of the best beauty product formulators on the planet. She drops the answer right in my lap when she turns to me and says, “you know, black women don’t need to have straight hair in order to wear straight styles; they never did. There was dead silence on my end. Cheryl kept eating. From that moment, I knew, that if I could soften natural hair, making it straight, would be easy, with any form of heat; and it was much healthier for the hair, since natural hair is not compromised by damage caused by chemical relaxer. Okay, I know what I’m going to bring to the market, I’ve got my purpose and the company mission down; I’m ready to go, but that wasn’t the only thing I discovered. Oh, I almost forgot. 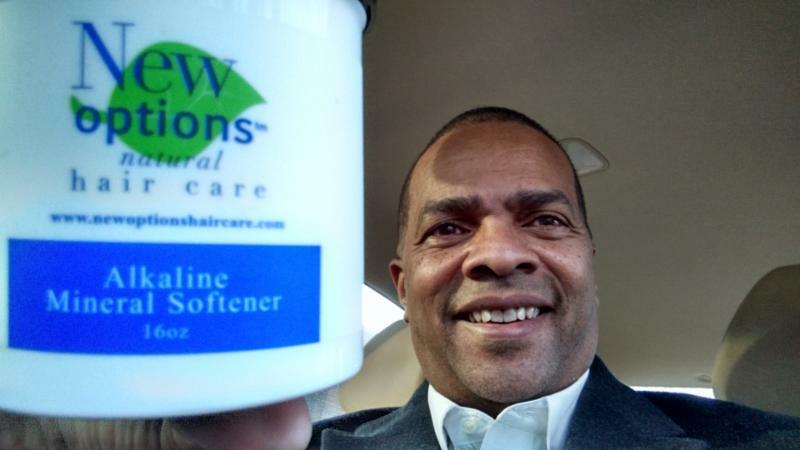 Just let me know where to send your FREE ALKALINE MINERAL SOFTENER and I’ll ship it right out. Be on the lookout for my email tomorrow. I’ll share with you a little power secret I also discovered while I was preparing our product for the market. If you’re a business owner or know of someone who is interested in making extra money, you may want to share this email with them. Check out our next email entitled: The Hidden Benefit of Using New Options Hair Care. Hurry, this offer won’t last long! In this post im going to show and tell you how to fix damaged hair. There are several reasons why hair can be damaged. It can come from chemical over processing. It can be dry, from lack of moisture or even from product build up. Fixing damaged hair can be complex. So, let’s have a moisture conversation. First, I’d like to suggest that, we don’t need oil, in order to moisturize hair or skin. Most of us expect to use a neutralizing shampoo with a chemical process. The neutralizing myth has many facets so let’s start with why hair and scalp would need a neutralizing shampoo. We don’t realize how important a balanced pH plays in our daily lives; pH indicates poor or good health in the body and the same goes for our scalp and hair. Ask Cookie, from Cookies Hair Skin & Nails in Bloomfield, NJ. This myth comes from the natural hair care world as a rationale to encourage people to change. There are so many myths and several theories as to why the ends of our hair split. The African American relationship with oil goes back to our everyday survival during slavery. This issue is our generational relationship with hair and water. On the plantations of America, Black Americans did not have much time for grooming. When the time came for grooming, the process of washing the hair, combing and styling was very time consuming. As a result the style had to last a long time. Secondly, Grandmothers and elders would say things such as washing or wetting the hair was bad luck, unhealthy or dirty hair grows faster.